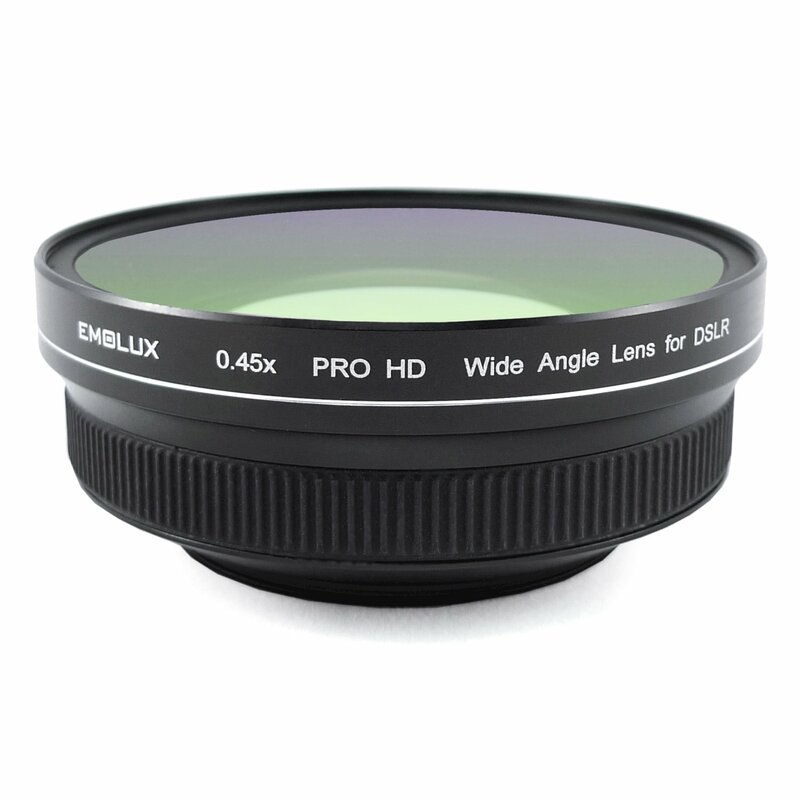 The Emolux 0.45x pro HD wide angle converter lens (40.5mm) is specifically designed for milc camera system to achieve extra wide high resolution images utilizing precise polished optical elements. unlike conventional digital conversion lens designed for DSLR lens, the optical system used had been redesigned taking into consideration of the shorter focal length between milc camera body and lens to attain the best possible clarity from side to side. When used on nikkor 1 vr 10-30mm lens, focal length is Effectively reduced by a factor of 0.45x to achieve a wide angle coverage of 4.5mm which is particularly usEFul for landscape photography with distance restriction. professional grade optical elements were polished to exact specifications and are multi coated to insure highest percentage of light transmission and lowest level of reflection for a crystal clear digital image when shooting with milc cameras. Suitable for Canon, fujifilm, Nikon, Olympus, panasonic, Sony, samsung lens with filter size of 40.5mm. To find out your lens' filter size, look out for marking (On your lens or lens cap) like ⌀40.5, which means the filter size is 40.5mm and you should get this wide angle converter lens (40.5mm).